On 2 April, the government-held Constituent Assembly in Venezuela, the parallel legislature created in 2017, stripped National-Assembly-backed, self-declared interim President Juan Guaidó of his parliamentary immunity. 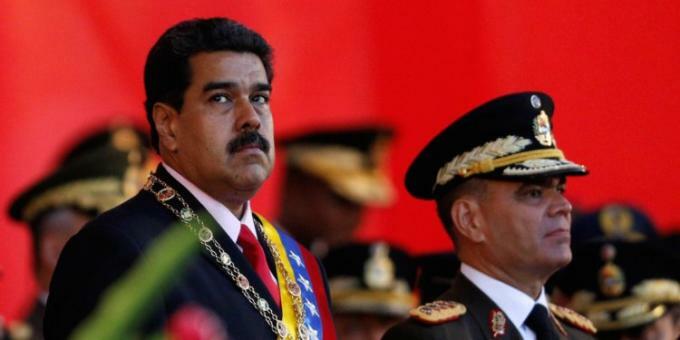 The Supreme Court, whose judges are loyal to the incumbent President Nicolás Maduro, had asked the Constituent Assembly to lift Guaidó’s immunity following his defiance of a travel ban upon him. Reportedly, Constituent Assembly members responded to the question “What do you do with traitors?" with shouts of “¡Al paredón!” (“To the execution wall!”). 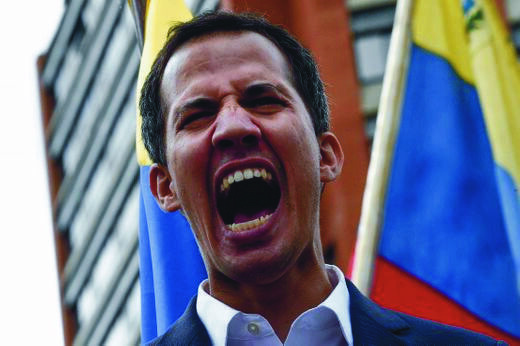 Nearly two months after Juan Guaidó, with the support of the National Assembly, declared himself an alternative president of Venezuela on 23 January, incumbent Nicolas Maduro has declared victory over his US-backed challenger. 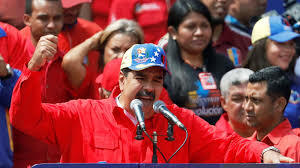 Maduro praised the armed forces for remaining loyal to him and defeating the “coup”. But the claim came amidst mass blackouts that began on Thursday 7 March, affecting at least 18 of the country’s 23 states. Juan Guaidó declared himself president of Venezuela on 23 January, disputing the position with the incumbent president Nicolas Maduro. 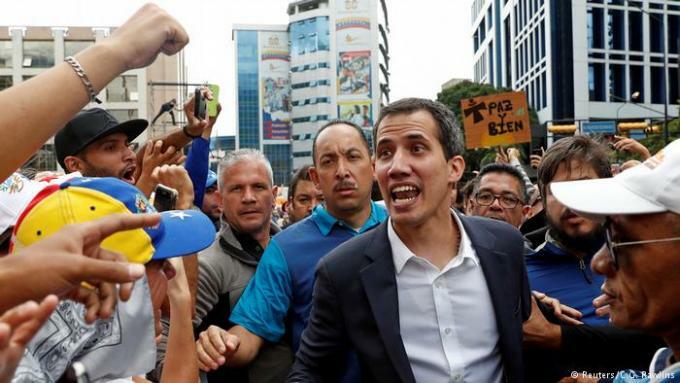 A month later, Guaidó continues to ask other states to consider “all options” for removing Maduro. Three weeks after Juan Guaidó declared himself president of Venezuela, on 23 January, neither Guaidó nor the sitting president, Nicolás Maduro, shows any sign of backing down. 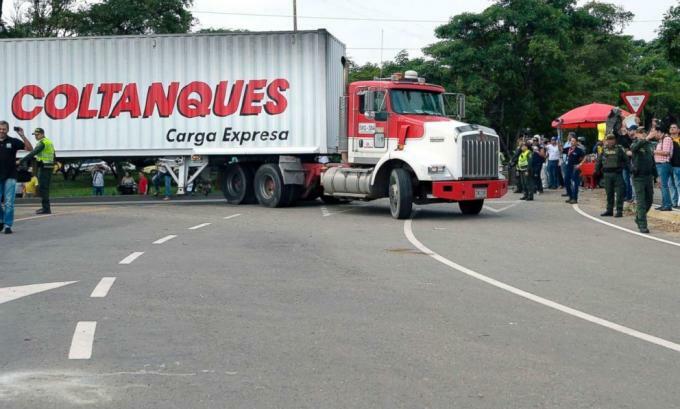 On Thursday 7 February, a convoy of lorries carrying humanitarian aid reached the Tienditas international bridge on the Venezuela-Colombia border. 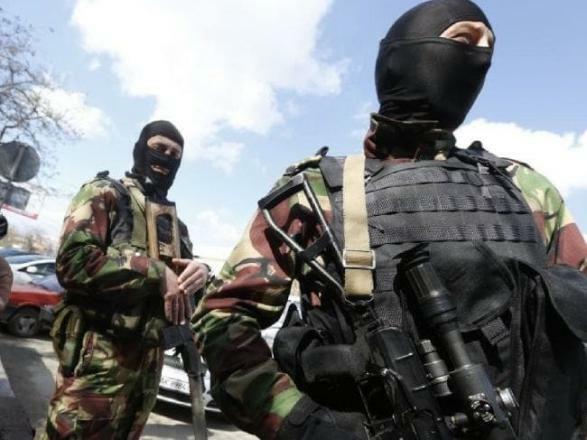 Venezuelan troops barricaded the bridge with two shipping containers and a fuel tanker. On 23 January 2019, Juan Guaidó, member of Voluntad Popular and leader of the opposition, declared himself Venezuela’s interim President. Thousands have taken to the streets, to support Guaidó or to oppose him and back incumbent President Nicolás Maduro. The US, Canada, Brazil, and the UK, and others have recognised as Guaidó as president. Maduro has severed diplomatic relations with the US; Russia and China continue to support him.